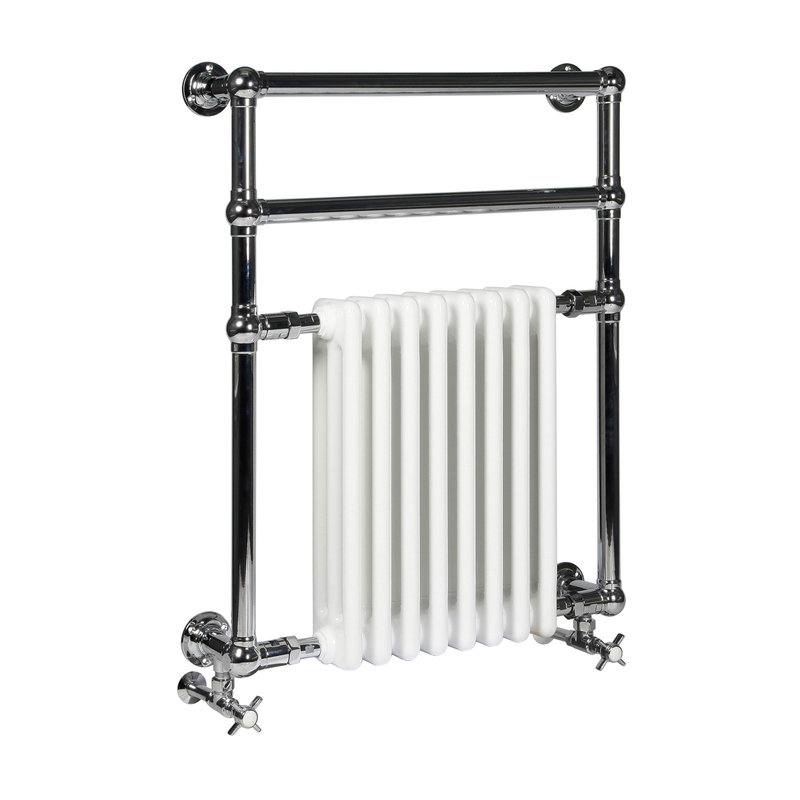 675mm wide and 825mm tall with 2 raised towel bars. Wall mounted. Perfect for en-suites, saving on space without lacking design. Made in Europe with a 10 year guarantee. Wall mounted towel radiator with two raised bars. Superb quality, 675mm wide, 852mm tall and 135mm deep. Chrome plated frame with added towel bars above steel radiator insert. Made in Europe to ISO 9001:2008 and EN442.